The first and only searchable source for AKC Suspended files, Minutes, lawsuits, salaries, scandals, Registry Fraud, and dog sport records. 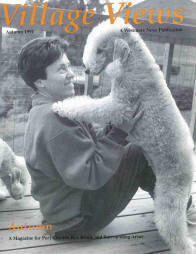 Impeccable research includes a treasure of captioned dog photos, TKC (England) and AKC background, by top AKC historian. Breeder Listings used to generate phishing attacks through fake puppy inquiries. 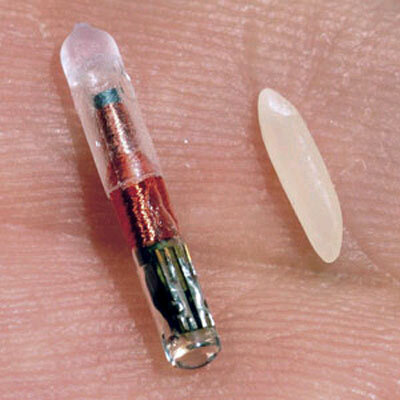 How to protect yourself from "privacy sharks". Decades of Board Minutes and Chairman's Reports. The net's first repository of AKC news! Clubs collapsing under power plays and judging assignment brokering. Another journalistic first, "presidential" pay revealed. Click for the Insider INDEX and become a real know-it-all! Check here before you hire a handler, elect a club official, or co-own a dog. Breed, agility, or obedience, AKC judge offers tips on doing great club newsletters. exploded into a meticulously documented case of AKC complicity. ADVERTISE NOW - Call Today! (800) 215-1178 weekdays 9-5 Est. Puzzling response to a specific example of anti-dog legislation. 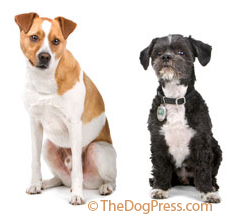 How YOU can help promote and support purebred dogs. Put DNA teeth into AKC and take a bite out of puppy mills? Top handler arrested, over 300 dogs rescued from AKC inspected kennel! Canine Good Citizen program highjacked by a petty thief. The problems plaguing this club are as large as the breed. A 102 year old United Kennel Club tradition continues. Over 5,000 entries expected for top Event! The message designed to hook you is false. National breed clubs seem to have lost sight of the purebred dog. AKC Rep says "it's up to the judge" Gads!!! challenged the AKC in this Four-Part Series !! Exclusive interviews on AKC Trial Board, AKC judge Dennis McCoy charged with registration forgeries, Four-Part Legal Study !! Clubs should offer camaraderie in learning. Humorous response to Restructured Fees. We sought direct information direct UBR! What is the purpose of dog clubs? Readers responded! Is your club only about assignment bartering and financial gain? Converting to a tax exempt charity destroys the club's purpose. How many betrayers in your club? AKC forcing Breed Standard changes. and Police officer threatened with suspension! Club members file charges, Lawsuit follows, AKC silent. I.D. dogs insures successful adoptions. Readers on the way dogs are judged today. Multi-group judge on what clubs depend on. stars with destruction of Breed Standards. AKC suspends Club President Susan Lybrand. AKC’s position on provisional judges. Reserve your Prestige Seat and access. Baby dog classes and other October news. Interview with TKC (England) on how it is handling the problem. It's not the economy stupid! By Part 2, we're out of denial. UKC does 3 days on applying the breed standard! Senior Judges' Assoc. on who has sole power. Dr. Penta's Message to Dog Show Judges. turn swapping assignments into racketeering!! The case, rulings, and background by Louis Fallon. Costs and corruption are soaring but here's a doable plan. On Mixed Breeds, Grands, vet bills up, entries down, HSUS gaining. Ceases To Recognize Canadian Pedigrees, Judges, or Chs. AKC, FSS, UKC and Recognition Procedure jeopardizes a breed's History and Future. Analytical look at AKC's violations of Standard Policies. The force behind defeat of PAWS! Do you believe AKC's duty is to purebred dogs? Fastest, easiest way to keep up with American Kennel Club hot button issues! AKC Wants To Know Your Income & Assets! Innocent form ... becomes lists for sale !!! AKC's All American Dog designation for mixed breeds is a slap in the face to purebred dog breeders. She isn't afraid to speak out for breeders. Over Petland Contract and react accordingly. changes to Mixed Breeds and the bottom line. Are Judges and AKC defrauding breeders? Gary, Kim, and Michelle Steele expelled from Boxer Club for neglect. Federal suit against AKC for collusion, libel, persecution, and more! !!! AKC willing to settle but questions abound. 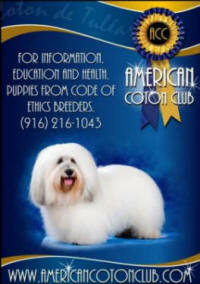 AKC Stud Book corruption documentation, revealing 4-part series... !!! Top Kuvasz breeder says AKC knowingly allows false pedigrees to stand. !!! Recent legal actions, complaints result in "Conditional Registration." Made even worse for breeders, better for puppy mills. A shaky future, what will the new board do? and let Andrew Green off again! ! Favors puppy mills not show breeders. (Designer Dogs!) in Purebred Classes? Offers Free overnight handling, no late fees, and other perks show breeders don't get. 3 outrageous examples of strong arm tactics. contract even though Davino has met all the legal requirements. Judge found Not Guilty by AKC Trial Board, but ... Part 1 of astounding actions! !!! What Is The AKC Entity? A non-profit over dog clubs which are just revenue for the corporation? Report leaves readers headed for the shelter! Do we want justice or puppets passing out ribbons? He sends letter to members re how to vote. Fees history, impact on exhibitors, etc. SCJA victorious, DJAA & ADSJ silent. When we're all cutting back. Forged registrations, embezzled over a half $million... still judging! !!! To disqualify merle color from competition. Garvin, Newman, Scully In; Battaglia and Gladstone out. Unseating and really upsetting the Board. Why is everything suddenly a secret from the fancy the board is supposed to serve? 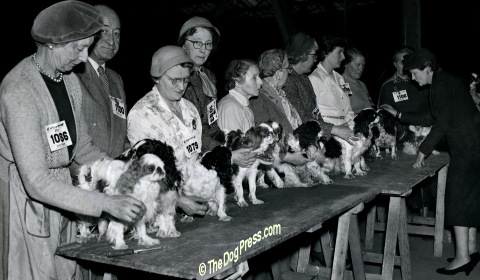 Stating the record about historic firsts and American Kennel Club progress. Analysis On $25 p/dog Exhibition "tax"
From a judge and Quality Control analyst. It isn't a matter of opinion - only YOUR opinion matters. Lynch v. AKC/CHF. Former Exec. Director awarded $544,000 plus $70,000 personal damages. !!! Sari Teitjen questions that, so do we... !!! A judge's quest for justice. The crime, the charge, the life sentence. !!! What are qualifications for those who control our rings? TheDogPress reporter, plus Delegates meeting. Effective Jan 2006 The Kennel Club England does what AKC should have done. Hosted by UKC to explore the future of pure-bred dogs. Of Registries, Oct. 2006, (AKC declined) historical coalition. Senior Judges cite AKC Charter & Bylaws "Delegates shall have sole power..."
No response from AKC so we published. The Puppy Protection Act explained - from the Pet Industry Joint Council. Perhaps they are not associations at all? AKC gives in to Judges and IRS regulations. What's A Judge To Do? A hard look at AKC's Conflict Policy by an AKC judge.